We love the beautiful, modern look of a steel bed. The streamlined design adds timeless style to any bedroom and the subtle weld marks on our artisan-crafted steel beds remind you that each bed is uniquely made. Other things to love? Natural steel and stainless steel beds are like a blank canvas for colorful, cozy bedding. Top off these beds with sheets, blankets and throw pillows that show off your personality. Our beds are designed to eliminate the need for a box spring or foundation. Steel slats provide a solid surface for your mattress and keep a modern, low-profile look. And last but not least: all of these beds are easy to disassemble, so moving is a breeze. 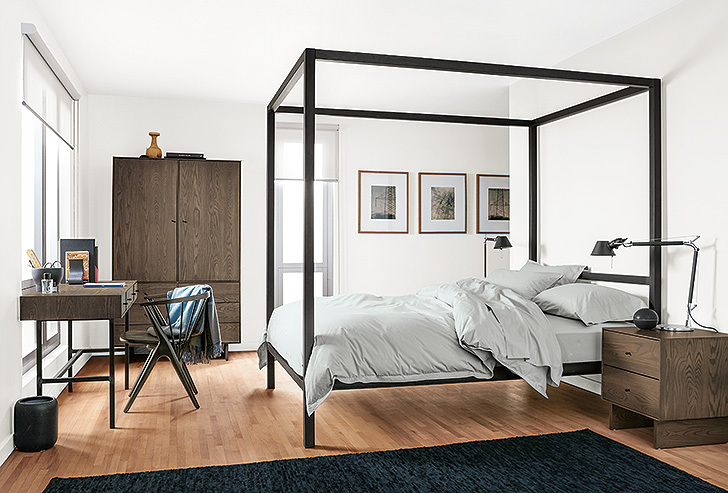 Strength and scale combine to create Architecture—a modern canopy bed with a dramatic presence. Handmade from sturdy natural steel, it’s a structure that will stand the test of time. Chapman combines the durability of a natural steel frame with the comfort of an upholstered headboard panel for a distinctive bed. This unique mix of materials makes an unexpected statement in a bedroom. 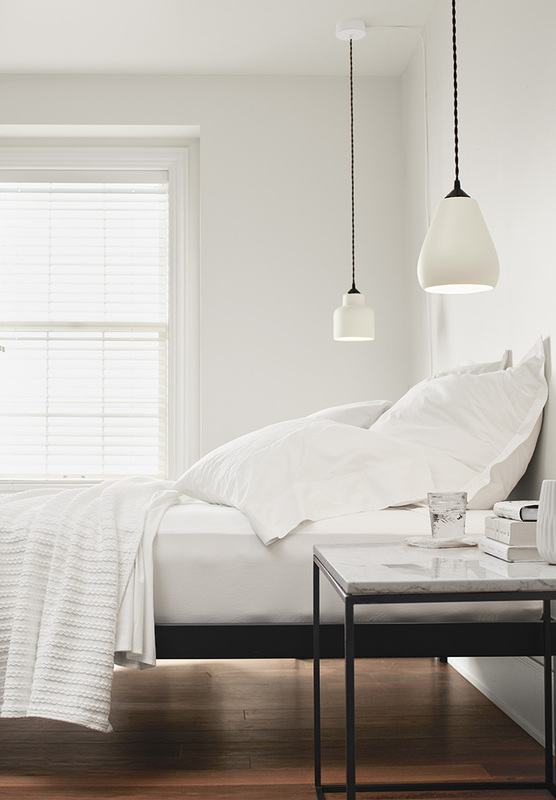 The minimal, modern form of our Core platform bed gracefully combines simplicity and utility, perfect for any bedroom. The hand-welded natural steel frame, made in Minnesota from high-quality U.S. and imported materials, makes it a versatile and durable solution at a great value. A Room & Board classic, Parsons features bold natural steel with subtle weld marks that make each piece unique and showcase the craftsmanship of the Minnesota artisans who build each one. Our Parsons bed was featured in The New York Times as a great solution for kids or adults. See what they had to say about Parsons, available in 14 color options. Both Parsons in natural steel and in color are available with power options that include a power outlet and double USB port on each side of the headboard. What’s not to love?